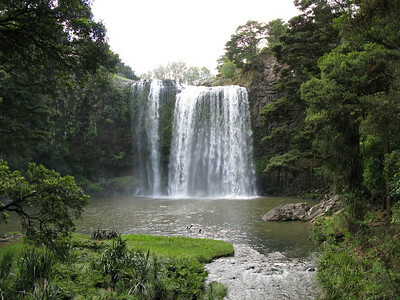 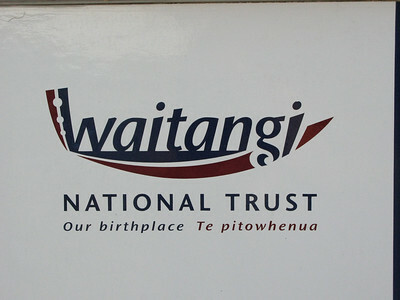 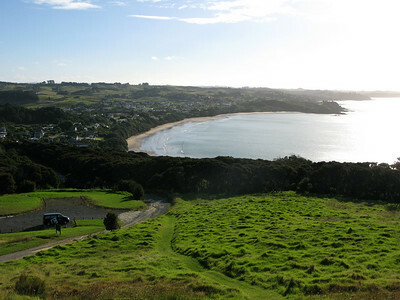 25-29/2/2008 - from Auckland to Whangerei, to the Bay of Islands, to Cape Reinga, to Hokiana Harbour, to the Kauri Forests & back to Auckland - 1,100 Kms of driving. 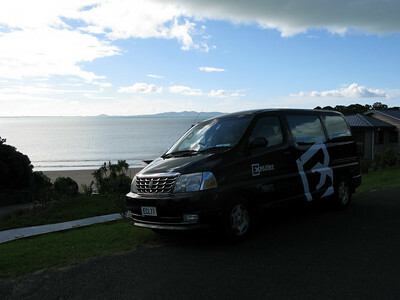 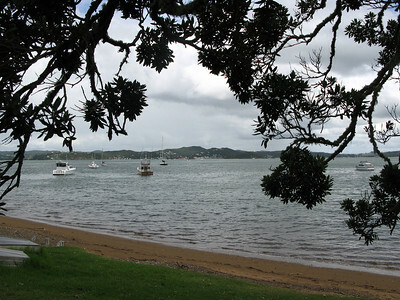 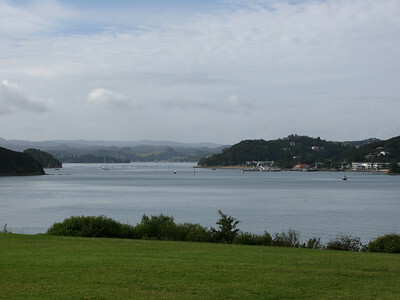 View from Waitangi Treaty Grounds to Paihia. 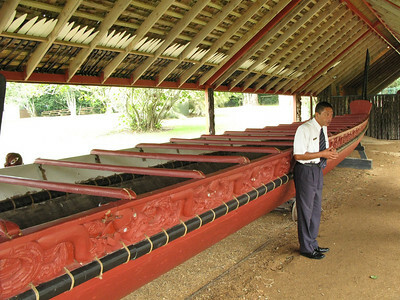 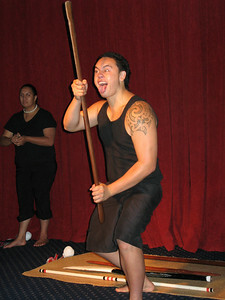 Maori Waka (Canoe) "Ngatokimatawhaorua" - built in 1940, 35 meters long, minimum of 76 paddlers required, though it can carry 80 paddlers & 55 passengers. 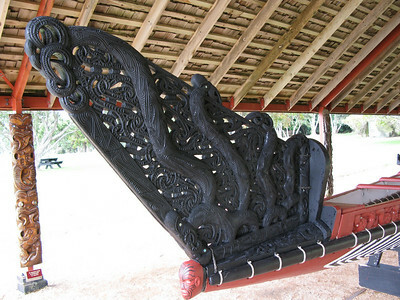 It weighs 12 tonnes. Top speed of over 20 knots. 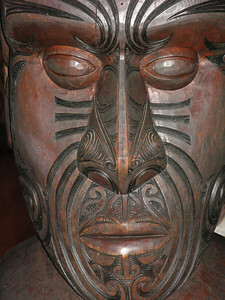 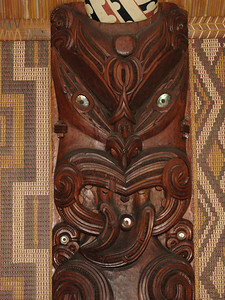 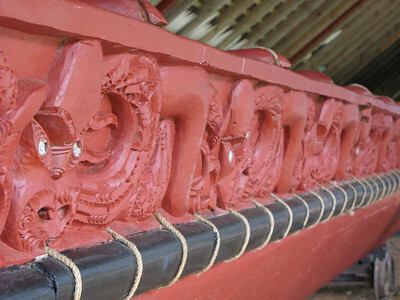 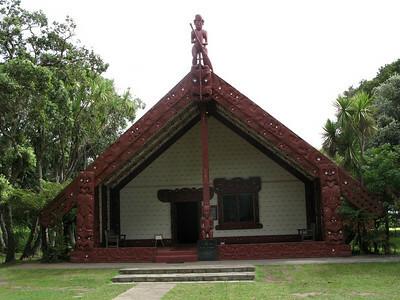 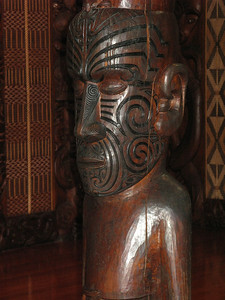 Carvings on the Maori Waka "Ngatokimatawhaorua"
Te Whare Runanga meeting house - opened in 1940. 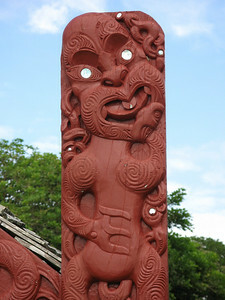 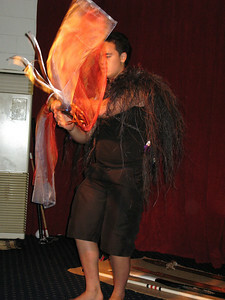 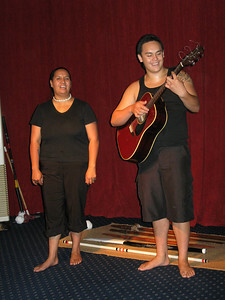 The figure at the apex is the explorer Kupe. 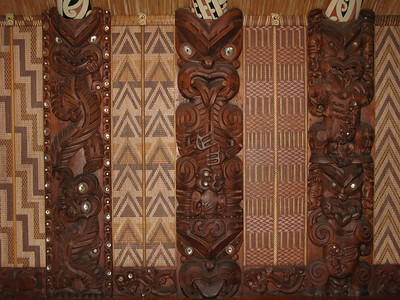 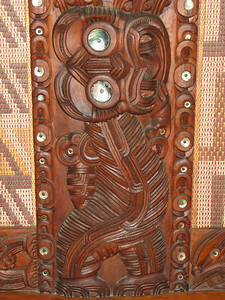 Carvings & tukutuku (reed panels) inside the meeting house. 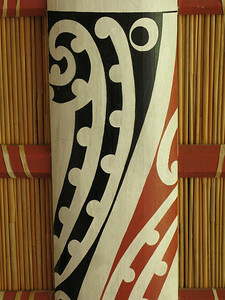 Kowhaiwhai - painter rafter patterns. 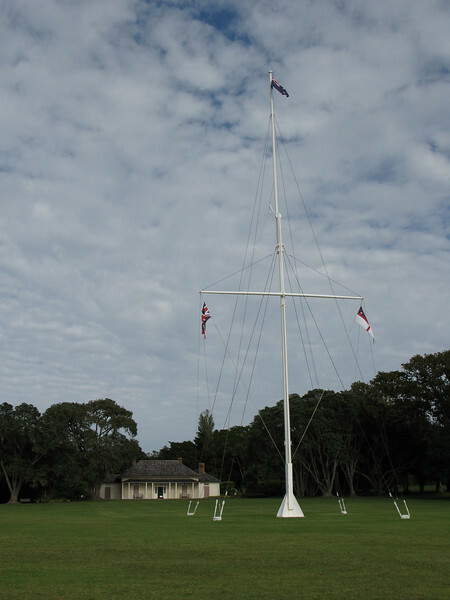 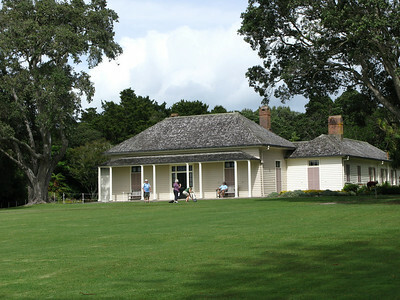 The Treaty House - the original Britsih residency was erected in 1833-34. 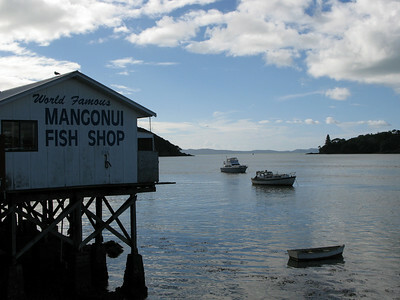 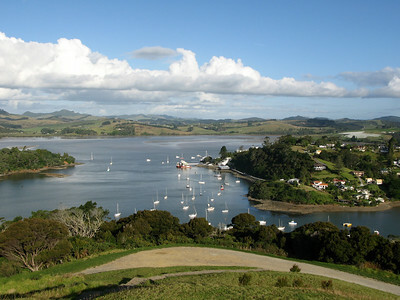 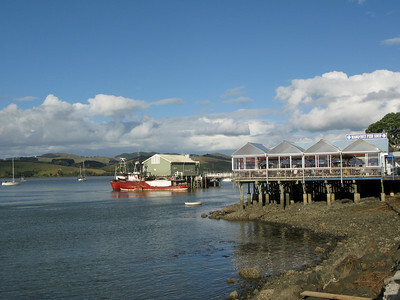 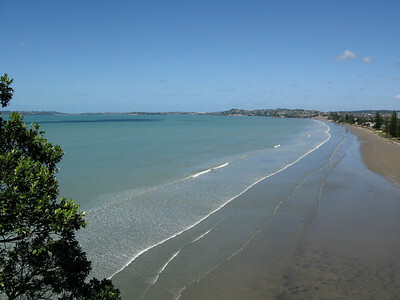 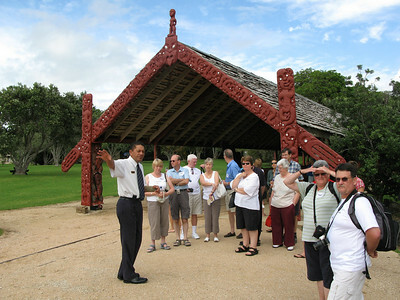 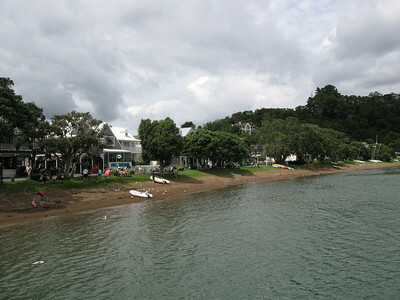 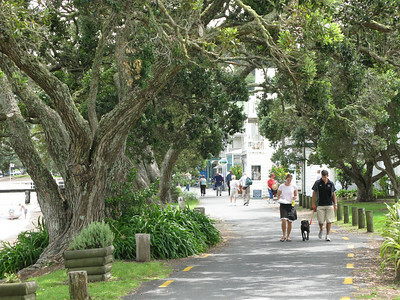 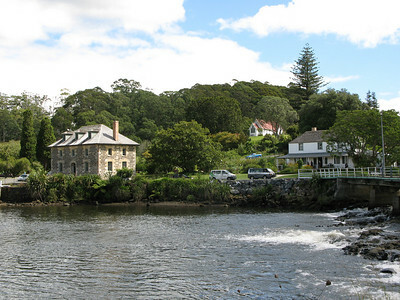 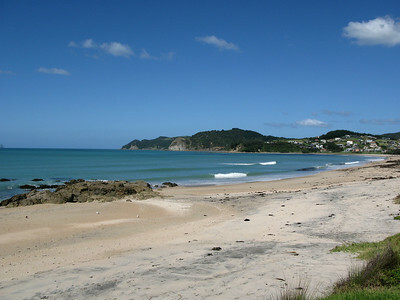 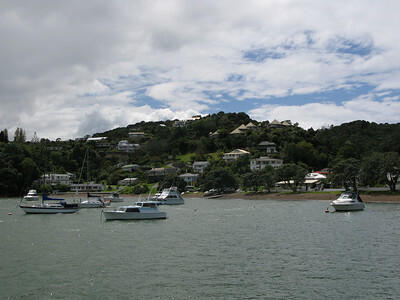 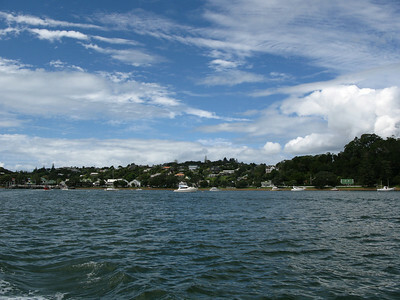 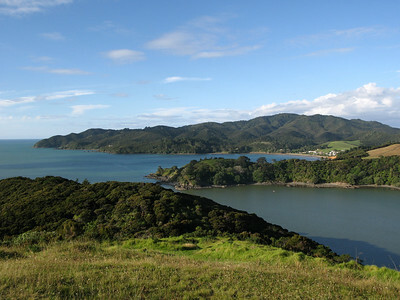 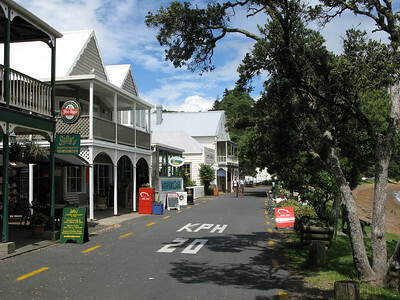 Russell (Bay of Islands), formerly known as Kororareka, was the first permanent European settlement in New Zealand, and dates from the early 1800s. 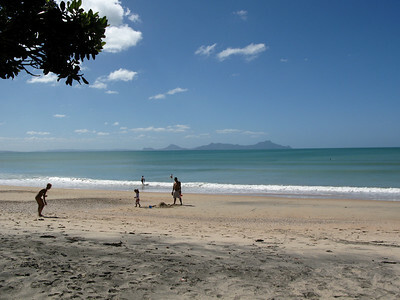 It was once known as "the hell hole of the pacific" - it has improved somewhat these days! 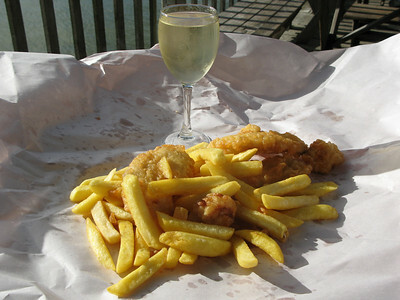 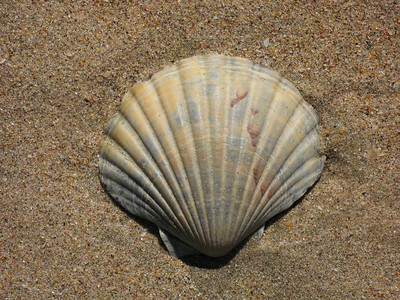 Fish, Scallops, Chips & Wine! 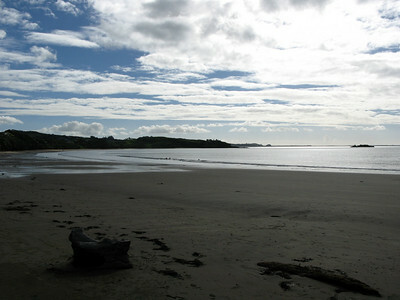 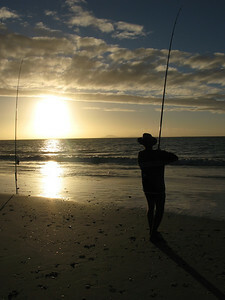 View of Mangonui from Rangikapiti Pa.
View of Coopers Beach from Rangikapiti Pa.
Snapper fishing on Karikari Beach. 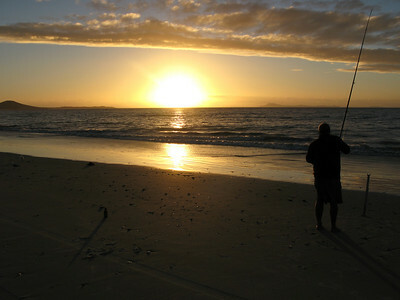 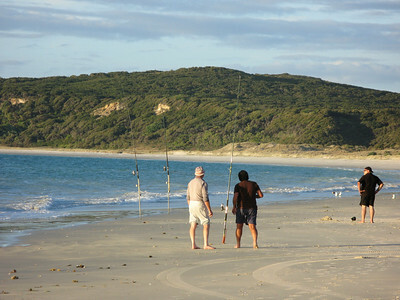 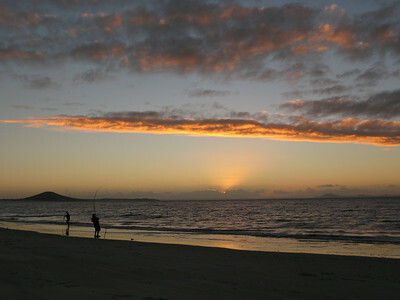 Sunset & fishing on Karikari Beach. 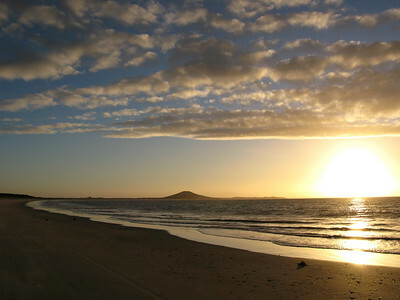 Sunset on Karikari Beach - Mount Puheke in distance. 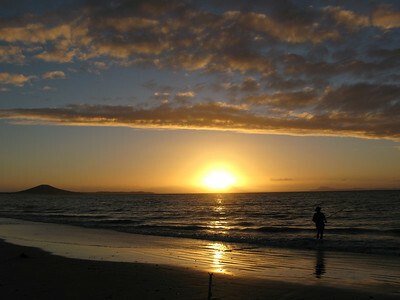 Sunrise over Matai Bay (Kari Kari Peninsula).